''Ahil & Mamu banter as always! Candid moments @beingsalmankhan,’’ wrote Arpita Khan Sharma. Salman Khan’s love for kids is known to all. 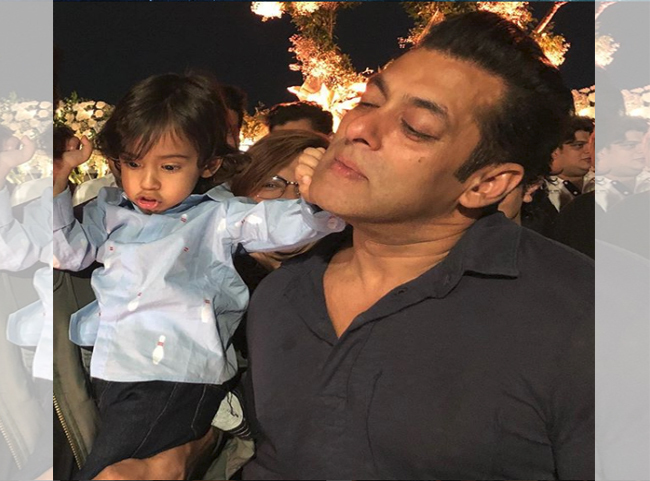 The Dabangg actor Salman shares a strong bond with his nephew Ahil. He is fond of Ahil and his love for sister Arpita Khan Sharma’s son can often be reflected in his social media posts. Arpita, recently shared a candid pic of Aahil with Salman on her Instagram, which is too adorable to be missed. ‘’Ahil & Mamu banter as always! Candid moments @beingsalmankhan,’’ wrote Arpita in the captioning the pic. Arpita’s husband and Bollywood star Aayush Sharma during the promotions of his film Loveyatri shared few unknown facts about Aahil and Salman.